Ireland's public radio stations have been given a coverage boost across Europe, following changes to their satellite distribution. 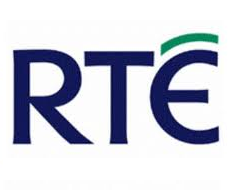 RTÉ Radio 1, 2fm, Lyric FM and Raidió na Gaeltachta officially moved to a new satellite transponder on the Astra 2 satellite system at the end of last week, from where their free-to-air signal can now be heard more easily across most of mainland Europe and with smaller dish sizes. Satellite users in parts of the Mediterranean who were previously blacked out by the previous distribution arrangements are now able to receive the stations. Sky UK/Ireland users, alongside Freesat users should have been automatically switched to the new feed on Friday, other satellite users will need to manually tune in the stations (details below). RTÉ had been dual-illuminating their radio stations on both old and new frequencies for around six weeks. The move is part of a recent deal between the Irish broadcaster and Sky, which saw additional RTÉ TV services being added to Sky's Irish service, meaning the existing transponder had become insufficient to fit all Irish channels in one place. As a by-product, Irish Sky subscribers, who have taken their receivers out to Mediterranean countries should also benefit from the wider reach some Irish television channels as a result of the change, including TG4, with smaller dish sizes needed for the affected channels. Irish television channels are encrypted due to licensing and copyright reasons. According to recent test transmissions though, it seems the version of Channel 4 with Irish advertising might be on the move from a European transponder to a UK spotbeam, with reduced coverage, in the coming weeks. A traditional case of 'you win some, you lose some', it seems. Also the home of TG4 (SD), RTÉ News Now and RTÉ One+1, with tests of other RTÉ TV channels in SD. All TV services are encrypted for Sky Ireland subscribers only. Great news, its a pity though RTE Radio 1 Extra and RTE Gold was not included.